When comparing Sierra Leone today to the country it was in the late 1990s, the decade in which the civil war left the country’s infrastructure and economy destroyed, it is bare recognisable. Despite the civil war leaving behind 14 main ethnic groups who held great distrust against one another and also leaving the country become one of the poorest in the world, this soon came to change. For instance, in 2001, there was a peaceful transition of government after elections and the country saw an annual GDP growth north of 8% on average. The International Monetary Fund (IMF) analytics indicate that such growth culminated in 15% in 2012 and 13% in 2013. So why invest in Sierra Leone? Granted, the country has come a long way, however it still needs to boost its Electricity power sector, particularly with regards to supporting the growing presence of mining companies. Sierra Leone, like many other African countries, has large deposits of diamonds, gold, copper, nickel and iron ore, to name a few. However, continue exploration efforts are needed to evaluate commercial viability across the country before actually commercialising the minerals. It is no secret that trade partners like India and China are hungry (yet anxious) for these mining exports as their economies continue to boom. Thanks to the establishment of the National Minerals Agency in 2012 and the Mines and Minerals Act of 2009, it is now certified that gold and diamonds collect and store all geological information. As a result, a state of the art mining cadaster system has been launched. The ‘catch-all’ sector when discussing investment in Sierra Leone is infrastructure. It is no secret that the government wants to boost rail construction, telecommunication and marine transport industry, as well as other sectors that are critical to the country’s day-to-day functioning. Relatively lower urbanisation, high fuel prices and decrepit transport all tend to hinder the progress of business especially in the mining sector. There is still some changes to be made with mobile penetration as it hovers between 50% and 55%, meaning that there’s still a way to go for the country. That said, tourism facilities (e.g. parks and entertainment facilities) could help boost Sierra Leone’s GDP if the government finds a way to initiate mutual beneficial public private partnerships with investors. There’s no doubt that the same can be said for the affordable housing sub-sector and the water supply in the country. Our final sector is discussing the boosting of Sierra Leone’s Electricity power sector in support of the growing presence of mining companies. The Government of Sierra had been unrelentingly pushing on the country’s huge electrification plan. Investors soon acknowledged that the National Power Authority lacks the human capital and capacity to do everything the government imagined. As a result, the government has been seen to be open to foreign investors entering the energy. Granted, it should be noted that the attractiveness of the sector will only hit full force once the government passes laws to improve tariffs to reflect the cost of production. More recently, a new route to Freetown [Sierra Leone] is the launch of Turkish Airlines, This marks a milestone in its international expansion with the launch of flights to Freetown. It’s a new week and that means a new post in our Sierra Leone investment section! Congratulations to Sierra Leones new present – and all Sierra Leone nationals for a successful election in 2018. To find out what this week’s post is about, please keep on reading. Whilst progress is being made with the healthcare infrastructure in Sierra Leone, especially with the government announcing the Free Healthcare Initiative for pregnant women in 2010, there is still more to be done. In a country where a quarter of all children are malnourished, and the average life expectancy is 55 years old, medical investment is necessary in Sierra Leone. For instance, the country has been branded as one of the worst to give birth due to the extremely high number of women that died during or just after childbirth. However, with the Free Healthcare Initiative, pregnant women, breastfeeding mothers and children aged 5 and under can receive free medical treatment. The initiative meant the abolition of fees for medical attention, therefore free treatment and prescriptions were available in every public health facility in the country. The Health Poverty Action (HPA) has worked to strengthen women and communities in Sierra Leone in their struggle for health through improving maternal health and combating violence against women. 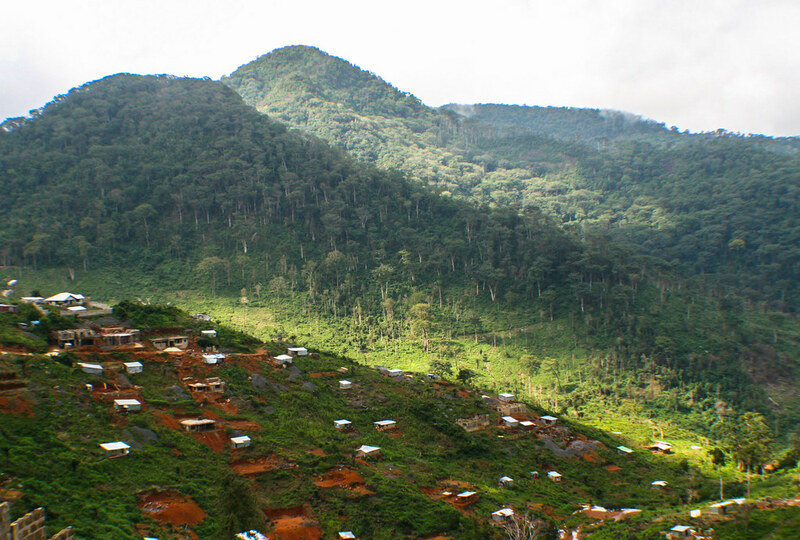 In 2015 HPA launched a report highlighting how making extractive companies in Sierra Leone pay more tax could provide vital support to the health system, especially in a country where many still die needlessly. Poverty does not exist in a vacuum in Sierra Leone, as it is partly caused by a global unequal distribution of power and wealth. To elaborate, Sierra Leone must pay a significant amount in debt repayments to external lenders each year to compensate for the debts created during the years 1991 and 2002. As a result, the country has less finance to spend on health services, therefore creating grounds for investment in the healthcare infrastructure in Sierra Leone. The health sector in Sierra Leone still has much more of a way to go, this can be achieved by foreign and/or domestic investment in special hospitals that provide care for those with HIV/AIDS, and the manufacturing of drugs and medical equipment, which should be available to the public.